"I am no Stark, Father." Wolves of the North #5. 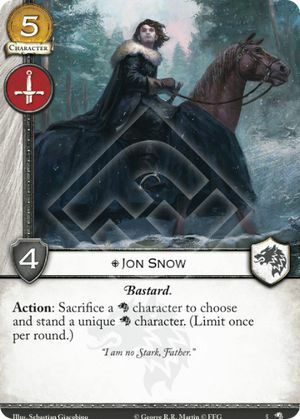 In order for you to trigger Jon's ability, there must be an eligible target in play (a kneeling unique Stark character). Note that in this case, the target does not need to be under your control.